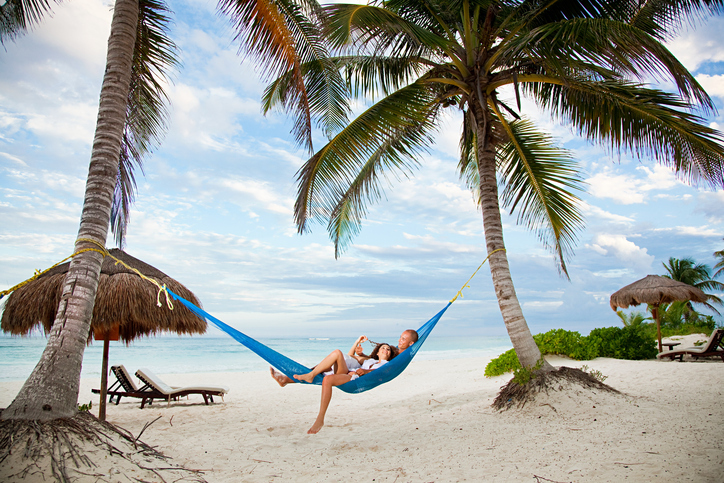 Want people to contribute to your honeymoon or a down payment on a house? Registering for your wedding just got a thousand times easier thanks to a new partnership with Target and Honeyfund. Sure, registering for kitchen basics, fine china, and new towels is always a must, but now engaged couples are also adding honeymoon funds and experiences to their wish lists. Luckily for them, they can get the best of both worlds with Target’s revamped wedding registry. Target has partnered with Honeyfund (you might have seen the honeymoon registry startup on Shark Tank) to add experiences to registries. 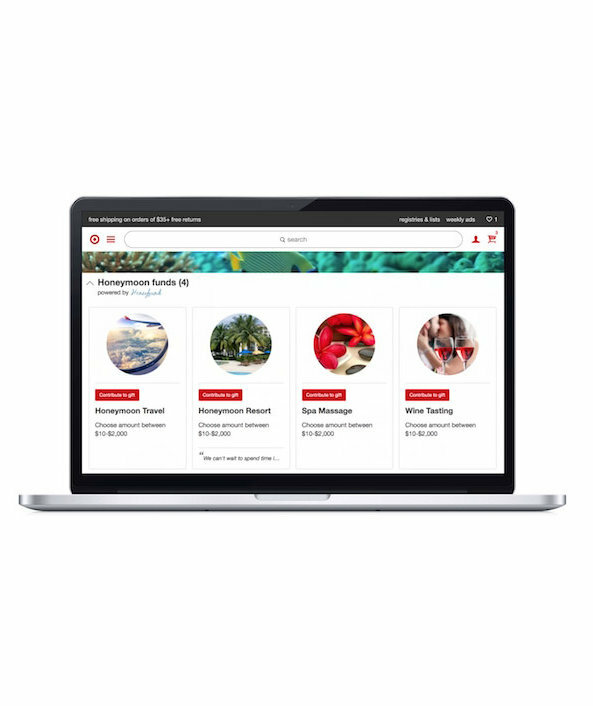 Now, couples can ask friends and family to contribute to their honeymoon, date nights, wine tastings, cooking classes, and more. Couples can redeem their gifts by getting a Honeyfund gift card or deposit the cash into their bank accounts with a transaction fee. That’s not all Target has done to update its wedding registry offerings—the retailer worked with Pinterest to add visual search technology on the registry app. Open the app, take a picture of an item, and you’ll get a list of similar products that can be found at Target. You can use this feature for baby registries, too. And if you didn’t already know, the retailer also has some great deals for couples registered—get 15 percent off everything left on the registry after the wedding, plus easily track who gave you which gifts and if you’ve thanked them already.